Food brings people together, whether it’s to celebrate a holiday, gather around the TV for a big game or enjoy an evening with family and friends. For culinary inspiration and support, we know many of our users turn to Bing Image Search to find recipes. After all, visual presentation is a crucial part of the dining experience. And while online images are often where inspiration comes from, it can be challenging to find an accompanying recipe. 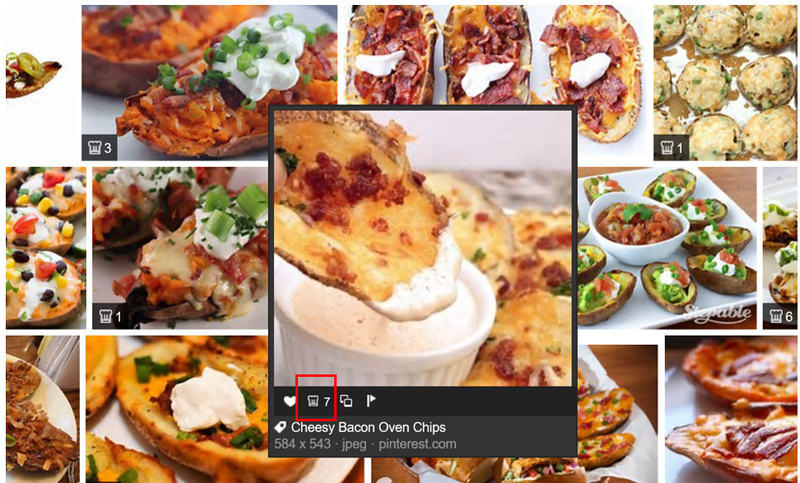 To help, Bing has made it easier to find recipes for those inspiring food images with the addition of recipe badges. Look for the chef’s hat badge on the bottom left corner of any Bing recipe image search and you’ll know there’s a recipe available. This badge has a number on it indicating how many websites offer the recipe which includes that specific image. Once you click on the badge you’ll be shown the list of sites that link to the recipe and instructions. The new recipe badge complements our previously announced Places to Buy shopping cart badge. If you have a website or blog and include images of food or items for sale, check out this post to learn how you can mark-up a page to allow your site to appear as a “Place to Buy” or a “Recipe.” If you notice that your site isn’t surfacing within our results with icons, or you would like richer information to surface, check out this post, which details the site tags we support, how we may use the information and additional opportunities for us to work together to help people find your site. The recipe badge, as well as the shopping badge, will be rolling out worldwide over the coming weeks and available across devices. Once released, you can try them for yourself by clicking on any image of food or a product with a badge. Let us know what you think by posting to Bing Listens. we help our students to learn a variety of ways to adapt to their physicality and create characters which prepares them for a plethora of screen roles.